Remodel and expansion of 1925 structure featuring 100,000sf of apartments, retail, and office space. This multi-phased construction and renovation project includes a new 3-floor 70,000 SF academic wing, a new performing arts center (450-seats), and a new administration, counseling and career center. The 240-seat Snowy Owl Theater is designed to be used as a performing arts space, educational center, and for a variety of community and special events. The theater is part of the campus of Icicle Creek Center for the Arts, which serves the entire Wenatchee Valley region and beyond. High ceilings with over-sized, operable windows flood each of the 63 workspaces with natural light and fresh air, providing a colorful and creative environment that spurs collaboration and innovation. 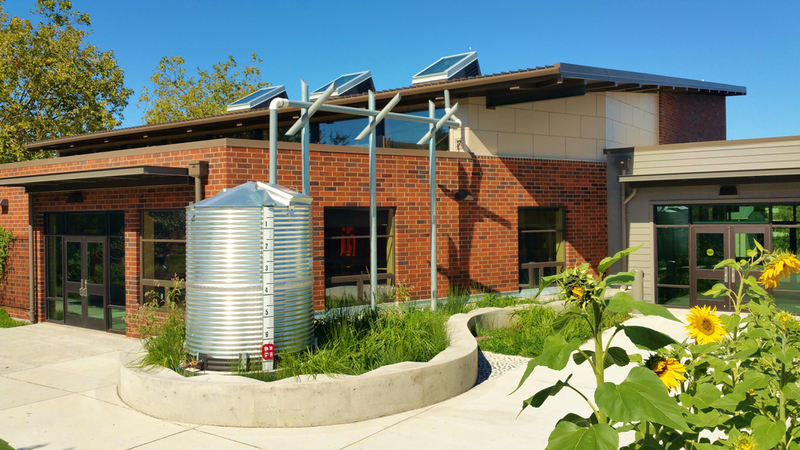 Designed to share faciltiies with the City of Bothell department of public works, the 12-acre site includes refueling stations, repair shop, bus wash, and administration wing. nature and poetry into the architecture. This 360-bed residence hall design encourages the development of small-scale community interaction. This 8,090SF addition provided a new flexible lunch/multi-purpose room, kitchen, and teaching garden. Sustainable features include solar water heating and will save 200,000 gallons a year. Studio Meng Strazzara: Creating modern, functional and beautiful spaces for four decades. Since 1976, we have provided architectural design services to a broad range of clients in the Pacific Northwest and beyond. We approach each and every project with a thorough and thoughtful understanding of our client’s needs and aspirations to deliver excellent designs and unmatched services.